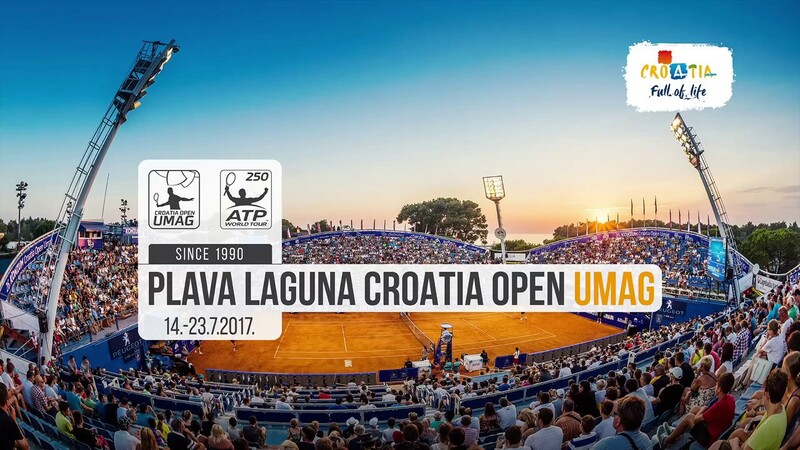 Despite losing the World Cup final in Moscow, the fun loving nation of Croatia is ready to host another edition of the ATP Umag 250 on clay. Here is your look at all the action. With the withdrawal of top seed Kyle Edmund, Albert Ramos will start in a reseeded position against Dusan Lajovic or Nikoloz Basilashvili. On clay I’ll back Ramos to edge Lajovic and reach the quarters. Guido Pella should be favored to defeat Taro Daniel, and Aljaz Bedene/Joao Sousa to reach the quarters opposite Ramos, with Ramos favored at that stage. Andrey Rublev, the defending champ, is hoping to be fit as he returns to tour after a few weeks off due to injury. Rublev will face a qualifier or Felix Auger Aliassime, with Robin Haase, Nicolas Jarry, or a qualifier lurking in the quarters. I’ll pick a qualifier against Jarry in this section, with the Chilean Jarry emerging the winner, Rublev will likely have a slow return. The bottom half features a relatively pedestrian (on clay) Damir Dzumhur facing either a struggling Paolo Lorenzi or journeyman Evgeny Donskoy. I’ll take Dzumhur to win the section and emerge opposite Marton Fucsovics or Benoit Paire. I have Fucsovics winning the quarter with wins over Paire and a qualifier, then Dzumhur. Pablo Cuevas has played himself back into a bit of form and will open against Laslo Djere, presuming he can defeat the in-form Djere, he’ll face Max Marterer or wild card Nino Serdarusic in round 2. Marterer should win the section and end up opposite Marco Cecchinato in the quarters. The rising Cecchinato will be favored over Jiri Vesely/qualifier, and then Marterer in the quarters. Cecchinato looks well positioned to lift this trophy after reaching the top 30, the Roland Garros semifinals, and lifting an ATP title on clay earlier this year. The Geneva Open, an ATP 250 on clay in Switzerland, is one of two final tuneups before Roland Garros, this small tour stop features veterans Sam Querrey, Fabio Fognini, Stan Wawrinka, and David Ferrer as the top four seeds. Here is your full preview with predictions. Sam Querrey is in poor form but features in a section that features 2 qualifiers, Steve Johnson/Marius Copil, Guido Pella, and Jiri Vesely, all of whom are struggling. I’ll back Pella over Querrey with Johnson reaching the quarters with wins over Copil, and a qualifier. Vesely is currently in a challenger final and should be fatigued. Pella over Johnson is my quarterfinal pick. The winner of Jared Donaldson/Denis Istomin will snap a long losing streak, then face home favorite Stan Wawrinka in round 2. With Wawrinka still slowly returning from injury, he should fall to Albert Ramos in the quarterfinals. Ramos needs to defeat Marton Fucsovics, then Frances Tiafoe/Ryan Harrison. Tiafoe has had a good clay season, but Ramos is more accomplished on the surface overall. Rome quarterfinalist Fabio Fognini is a heavy favorite to win his section, as Marcos Baghdatis/qualifier, and Mischa Zverev is his likely path. Zverev should defeat Mirza Basic and Tennys Sandgren/Andreas Haider-Maurer but Fognini is the strongest player by far in this group, and he’s in the best form. David Ferrer will begin against Peter Gojowczyk/Ivo Karlovic, I have him winning that before falling to Marco Cecchinato in the quarters. Cecchinato has found form on clay this season and should beat countryman Andreas Seppi, then Florian Mayer/qualifier before edging Ferrer in the quarters. Semifinal #2 should be an all-Italian affair with Fognini grabbing the win, Spain’s Ramos looks set to reach the final as well. Fognini should triumph ahead of Paris if he can back up his Rome results. 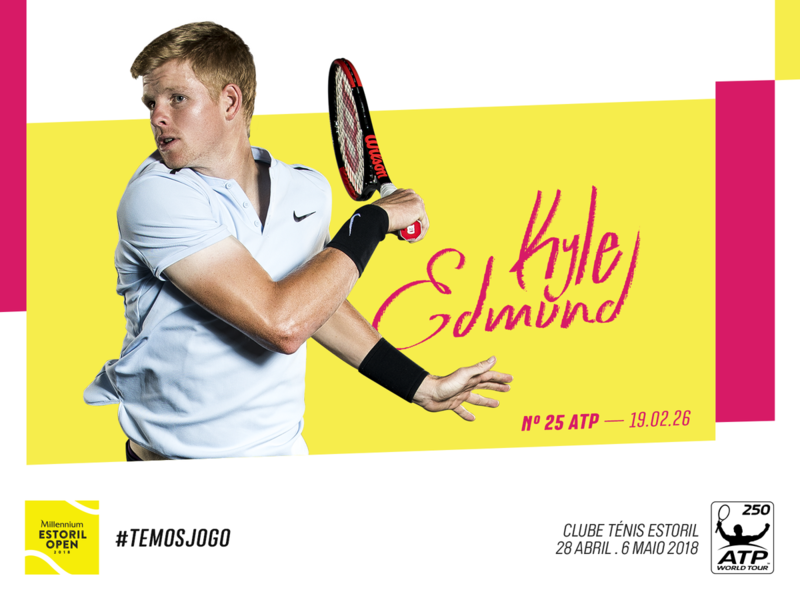 2018 @EstorilOpen features Stefanos Tsitsipas, Kyle Edmund and More! 2018 Estoril Open features Stefanos Tsitsipas, Kyle Edmund and More! Tennis Atlantic is pleased to be able to provide some on-site coverage from the Estoril Open this week, a 250 on clay and Portugal’s only ATP event. Here is your full preview, with predictions. Kevin Anderson starts his French Open prep with an opening match against Pablo Andujar or Stefanos Tsitsipas. It’ll be a tough match either way with Andujar a recent champ in Marrakech, and Tsitsipas a finalist in Barcelona. I’ll go with Andujar over Tsitsipas and Anderson in upsets. Roberto Carballes Baena takes on American Bjorn Fratangelo, the winner of that match should defeat Cam Norrie or Robin Haase to reach the quarters, with Andujar in the semifinals in my bracket. Kyle Edmund will face either home favorite Gastao Elias or Alex De Minaur in round 2, Edmund, a finalist in Marrakech should win that match and get past Gilles Simon or Joao Sousa in the quarters. Simon opens with wild card Pedro Sousa, Joao Sousa takes on Daniil Medvedev, I have Edmund over Simon in the quarters. Pablo Carreno Busta will face Nicolas Kicker or a qualifier, with Leonardo Mayer or Nicolas Jarry awaiting in the quarters. I’ll back Mayer to beat Jarry and Frederico Silva or a qualifier before falling to PCB. PCB comes off a solid semifinal showing in Barcelona. Albert Ramos will be favored to win the third section of the draw, he opens with Federico Delbonis, a player in poor form, a qualifier awaits in round 2, with Gilles Muller/Frances Tiafoe/Tennys Sandgren awaiting in the quarters. I’ll go with Muller over Tiafoe, with Ramos winning the section. Anderson looms over the field, but Carreno Busta should be favored to win the title, and I’ll go with Andujar in another dark horse run. He’s rebuilding his career after injury. The ATP 250 tournament in Sao Paulo, Brazil concludes the clay court golden swing in South America. A host of South American dirtballers will be joined by Gael Monfils, Fabio Fognini, and Albert Ramos in the hunt for an ATP title. Top seed Albert Ramos-Vinolas has not had a great golden swing and really needs to get past Thiago Monteiro (or Guilherme Clezar) in the second round. Monteiro has had some unlucky results lately, and likely loses round 2 to Ramos. Chile’s Nicolas Jarry reached semis in Rio and has had a solid golden swing. He should keep it up against Dusan Lajovic, then defeat Guido Pella or Corentin Moutet in round 2. I’ll back Jarry over Ramos in the quarters given Jarry just beat Ramos in Rio. Gael Monfils has posted 2 quarters and a semi in his golden swing efforts. He’ll open with Thomaz Bellucci or Horacio Zeballos. Presuming Monfils wins that and reaches the quarters he’ll face either Rogerio Dutra Silva or Nicolas Kicker. Kicker opens with a fading Victor Estrella, Dutra Silva faces Tennys Sandgren. I’ll back Monfils over both Brazilians (Bellucci and RDS) to reach the semis. Fabio Fognini reached semis in Rio and should get past Renzo Olivo/Joao Domingues in his first match. Federico Delbonis should follow in the quarters. Delbonis faces a potentially unfit Roberto Carballes Baena in round 1. Gerald Melzer or veteran Guillermo Garcia-Lopez will follow. Fognini vs. Delbonis could decide the tournament champion in the quarters. I’ll go with Fognini to reach the semis. Pablo Cuevas is playing well enough that he should defeat Marco Cecchinato/Sebastian Ofner, then Leonardo Mayer in the quarters. Mayer opens with Gastao Elias, Carlos Berlocq/Thiago Wild will follow. Gael Monfils and Fabio Fognini aren’t the only possible champions in SP, but they should be co-favorites. Monfils has played the whole golden swing and should walk away with at least one title. The ATP Golden Swing kicks off with a 250 on clay in Quito, Ecuador, Spanish players feature heavily in the field. Here is your full preview, with predictions. Fresh off success in Davis Cup, Pablo Carreno Busta should be able to defeat Rogerio Dutra Silva/qualifier. PCB is in a weak section with Ivo Karlovic/Ernesto Escobedo/Corentin Moutet/Adrian Menendez-Maceiras awaiting in the quarters. None of those players have performed well on clay at the tour level, and PCB should roll into the semis. Paolo Lorenzi looks good in his section, he faces a qualifier, Nicolas Jarry/Tommy Robredo or Stefano Travaglia/Pablo Andujar to follow. Andujar is returning from injury so Travaglia should be favored, Robredo could find form as a wild card, but Lorenzi over his countryman Travaglia is my pick for the quarters. Albert Ramos should beat Roberto Quiroz/Yannick Hanfmann in the second round. Victor Estrella plays great in Quito, and I have him upsetting Thomaz Bellucci, and then Marco Cecchinato/Gerald Melzer to reach the quarters. VEB has beaten Bellucci three previous times in Quito. VEB should beat Melzer in the second round, and then I have him upsetting Ramos. Gael Monfils takes on young gun Casper Ruud (or Carlos Berlocq) in round 2. Horacio Zeballos faces Thiago Monteiro, Peter Polansky or a qualifier will follow. I have Monfils beating Monteiro (and Ruud) to reach the semis. Estrella plays so well in Quito he should upset Monfils. PCB is the tournament favorite for a reason though, he’s really risen in the past 12 months.